Princeton Gastroenterology Associates, P.A. (Princeton) - Book Appointment Online! 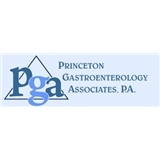 Princeton Gastroenterology Associates, PA (PGA) is a regional leader in the treatment of gastrointestinal and liver disorders, serving the Central New Jersey region since 1990. The six board certified physicians, together with a large clinical and administrative support staff comprise our group. With an office and a state of the art endoscopy center in Princeton Junction, PGA provides the highest quality of care available in digestive disease diagnosis, evaluation and management. Our Mission is to provide comprehensive and compassionate care to our patients with digestive and liver diseases. We strive to treat each person with dignity, respect and attention to detail. Our support staff includes outstanding office workers and nursing professionals who pride themselves in prompt and courteous communication and responsiveness with our patients. While offering a full range of gastrointestinal diagnostic services including endoscopy, colonoscopy and capsule endoscopy, we specialize in acid reflux, Barrett’s esophagus, inflammatory bowel disease, colorectal cancer prevention, as well as liver diseases. We see patients with a variety of gastrointestinal problems, including difficulty swallowing, heartburn, abdominal pain, rectal bleeding, diarrhea, constipation and hepatitis. Our goal is to provide patients with timely, compassionate, high quality care for their digestive ailments. Very happy with my visit. Both the Doctor and her nurse were extremely competent and kind. Would highly recommend. I am so happy to have found Dr. Bellows! He was patient, kind, answered all of my question and left no stone unturned. His staff was just as professional and courteous. I highly recommend him.